Hailed since its soft launch at Interbike last year as “the first integrated system to transform your ride into a smart cycling experience,” COBI is finally available for purchase, moving the unique concept from vaporware to Kickstarter to direct-to-consumer sales in 34 countries and five languages. 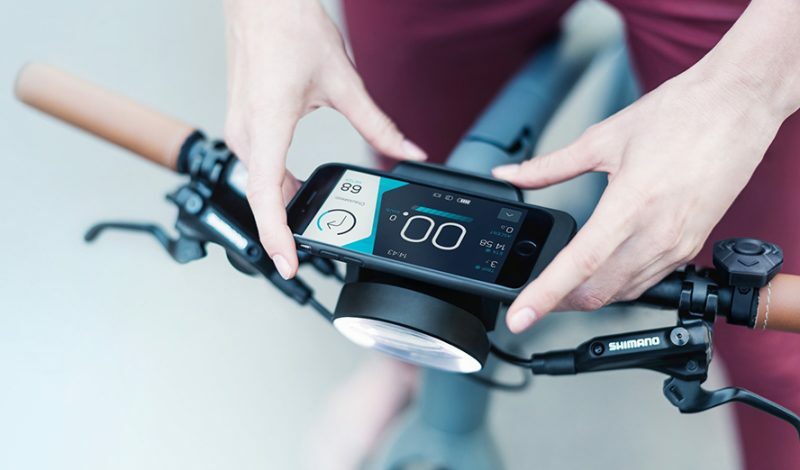 Consisting of a smartphone case, handlebar-mounted hub, six-button controller, and of course an app, COBI puts information and connectivity at a rider’s fingertips with access to phone calls, fitness metrics, turn-by-turn navigation, playlists and weather. Designed and engineered in Frankfurt, Germany, its Kickstarter campaign in 2014 was backed with more than $13 million in investment capital. COBI places your smartphone front and center on your bicycle to revolutionize cycling experiences such as commuting, training or touring with a variety of tools and information you are already addicted to, but until now could not use safely and quickly on the bike. Similar to the hands-free, Bluetooth-powered connectivity systems found in many automobiles (its designers came from the auto world), COBI integrates a refined design aesthetic with a progressive user experience. COBI had already won a dozen awards including from the Consumer Electronics Show and the Eurobike trade show even before it could be purchased. COBI was named the Prototype and Overall Winner at the 2014 Bluetooth Breakthrough Awards, 2014 IoT Innovation World Cup Innovator of the Year, and 2015 Best of Mobile Innovation Winner. COBI, now available for purchase at the COBI online store, will also be available at select retailers and as standard equipment on several partner brand bicycles in the future. COBI will charge your phone while you ride and will integrate with most eBike brands. The brand will work with developers and businesses to create custom systems for bike fleets and tourism applications, but is not technically open source. COBI is the first integrated system we’ve heard of to “intelligently connect” a bike with a smartphone — including a holder with charging function, bike computer, navigation system, security alarm, bell and light. And if it gets more people out using bikes rather than cars on a daily basis, we’ll view that as a positive.